Knowing the buyer’s KPIs is essential if you really want to understand the motivation and behaviour of the professional buyer. 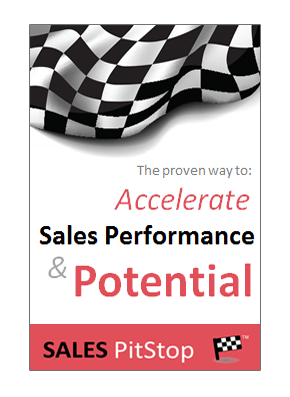 As salespeople you and I are measured based on reaching our sales target, no doubt with some consideration of margin. But how are our counterparts in procurement measured? Salespeople will rightly say that cost savings are the buyer’s real motivation, with ‘hard-balling’ the supplier as the primary strategy towards its achievement. But is that all that matters to the modern buyer? Cost savings are undoubtedly the number one buyer KPI, but it is certainly not the only one. 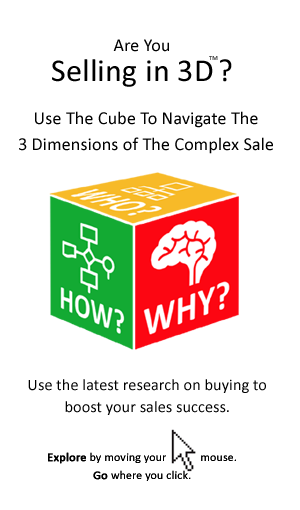 Any procurement professional will tell you that buying is more complex than that! Yet our research with sellers shows that many struggle to list the other KPIs against which buyers are measured. – You can better predict his, or her next move. Most important of all you can better align your sales strategy to his/her real needs. Remember salary surveys tell us that as much as 1 dollar in ever 5 earned by the buyer may be determined by his, or her performance against these KPIs. No doubt some of the KPIs will surprise you. They show that hard-balling suppliers over price is certainly not ‘the only game in town for the buyer’. As such they reveal a number of strategies available to the seller in helping the buyer to meet his performance targets – strategies which don’t necessarily mean sacrificing supplier margins. Dashboards are popular among managers, providing them with their key performance metrics at a glance – often using easy to read dials and gauges. With that in mind let’s use the concept of a dashboard to explore what drives the professional buyer. The first impression from sellers on seeing the above dashboard is – ‘I did not think procurement was that complex!’ However the number of KPIs is a good indicator of the sophistication of modern procurement in a large organization. Seller surprise at the number of dials is an indication that we often underestimate the role of procurement. With that in mind, let’s examine the 9 dials shown and the relevance of the specific KPI in question. – What are the dials telling you? – How good a job did your predecessor do? – How effective is the procurement function within the organization? – What scope for improvement does the numbers reveal? – What opportunities and challenges are you facing in your new role as procurement head? – What are likely to be the key strategies for procurement over the next 12 months? Lets examine the dials to answer these questions, focusing first on the 4 primary KPIs on the top half of the dashboard. It is obvious that managers are going to be focused on savings realized. However promised or reported savings are subject to heightened scrutiny in may organisations. Managers themselves know that savings promised and savings realized are two different things. This is the proportion of the organization’s total spend on goods and services which is under the influence or control of procurement and therefore subject to its procedures, systems and reporting. Procurement chiefs are in the equivalent of a land grab in terms of seeking to extend their influence and control. However they often encounter resistance along the way and must patiently accept that as much as 4 dollars in every 10 spent is outside their control (as applies in this example). The most obvious way for any manager to increase savings is to increase spend under management. The problem is that some managers and their departments are reluctant to cede control over spending, especially over what they consider to be special areas of spend. These typically include areas that they believe have special requirements and are complex to buy, where special vendor relationships exist and where other variables matter more than price. Examples include capital spending and marketing spend. Ironically these are areas where procurement often believes it can deliver savings of between 15 and 25%. As a result procurement chiefs must adopt new strategies to extend their influence and steadily increase spend under management. While the CPO sells senior management on the promised results to be achieved by letting procurement loose on previously sacred areas of spend, a softly softly approach is likely to be adopted with procurement offering guidance and support in these new areas. Procurement chiefs often face a challenge in demonstrating the credibility of the savings figures they present, with the numbers often being discounted significantly by colleagues in finance for example. One of the reasons is that procurement can be over ambitious in its calculation of forecast savings. In addition the implementation of any procurement initiative can fall short of achieving what is required. In the dashboard above the level of leakage in terms of savings realized versus saving forecast is 40% (a figure that would not shock too many managers). – Changed market conditions, such as; changes in raw material or energy costs. Other factors could include poor contract compliance management, or poor supplier performance management. Crucially it might also include renegade purchases within the organisation where managers or end users buy unapproved items from unapproved suppliers. Spend under management does not tell the full story as regards the scope of procurement control. That is because maverick end users within the organisation can creatively avoid following procurement rules. The dashboard shown here puts the rate of non compliant spend at 37% . That means at least 4 in every 10 dollars is being spent with unapproved vendors, outside of contracted terms, or without adherence to internal procedures. In such a situation procurement is asleep on the job and its authority is clearly being flouted. Either it lacks the power, systems or manpower to police compliance. Sooner or later procurement in this organisation is going to have to get tough, more strict approvals procedures can be expected and some maverick manager is going to be made an example of and subject to punitive sanction. To demonstrate that procurement chiefs are not just concerned with cutting costs, let’s examine some of the other procurement KPI’s shown on the procurement dashboard. The 5 secondary dials shown at the bottom of the dashboard paint a broader picture of procurement strategy and performance ‘in the round’. Each of these more strategic KPIs is examined below. – Dial 5: Liquidity – Procurement plays an important role in freeing up cash for the business, through the negotiation of improved supplier payment terms, for example. New procurement rules and regulations are typically accompanied by increased administration and bureaucracy. This drives up the cost of acquisition – something that can quickly eat into savings that have been achieved through competitive tendering and tougher supplier negotiation. The efficiency of procurement can be measured in terms of the level of administrative overhead associated with purchasing. In this example procurement costs are in the red, indicating that they are above forecast and out of step in industry norms. – Delegating aspects of buying to end users/departments within a framework/process. Procurement professionals must take risk very seriously. You and I watch the news at night to learn of civil unrest, earth quakes or tsunamis around the globe. Although sad, at times even distressing, these events have little direct impact on our lives. For the professional buyer the story is very different – any of these event could have an impact on the global supply chain. For example floods in Thailand could halt production by a key supplier causing customer shipments to be delayed and results for the quarter to be hit. A top priority therefore among procurement and supply chain managers is the building of resilience into the supply chain and that requires risk management plans for all important suppliers and materials. Supplier performance management is another key pillar of modern supply chain management. So, tracking supplier performance in terms of quality, cost and delivery is key. The performance of suppliers is not just something to be monitored and policed, it is something to be pro-actively managed and developed. That includes key suppliers, as well as tier two, tier three and raw material suppliers. Historically procurement has been seen as combative, rather than consultative. However, this is something that is changing fast. The reality, as one CPO put it, is that ‘procurement needs to do as much selling as buying if it is going to be successful’. Procurement continues to extend its reach (i.e. measured by spend under management – dial 2) and the level of contract/process compliance (dial 4). However, doing this successfully requires balancing coaching with control. Edicts from the central procurement function are not enough – it must demonstrate its value and bring people along with it. Procurement is repositioning itself as a value adding partner, rather than an inflexible bureaucrat. A measure of its effectiveness in doing this is the level of satisfaction of internal customers with procurement’s performance. In the example above the dial shows that good progress has been made on ensuring client satisfaction. However, with a score of 70% there is still scope for improvement and may well be parts of the interaction between procurement and other stakeholders that can be improved. – Impact on the balance sheet, ROCE, etc. – specifically relevant to the buying of your goods and services.